Never before seen together, nearly 30 enormous and spectacular gems from the Smithsonian’s world-renowned National Gem Collection will be on display in the Lyda Hill Gems and Minerals Hall on Level 3 of the Perot Museum. The mineral masterpieces, many weighing over 1,000-plus carats, include an “American Golden” topaz that tips the scales at almost 23,000 carats (more than 10 pounds), a blue topaz “football” of nearly 7,000 carats, kunzite Tiffany necklace, a Mogul emerald diamond necklace and more. This temporary installation will mark the first time such a large collection of Smithsonian gems, some of which have never been displayed in any museum, will be on exhibit outside the famed Washington museum complex. 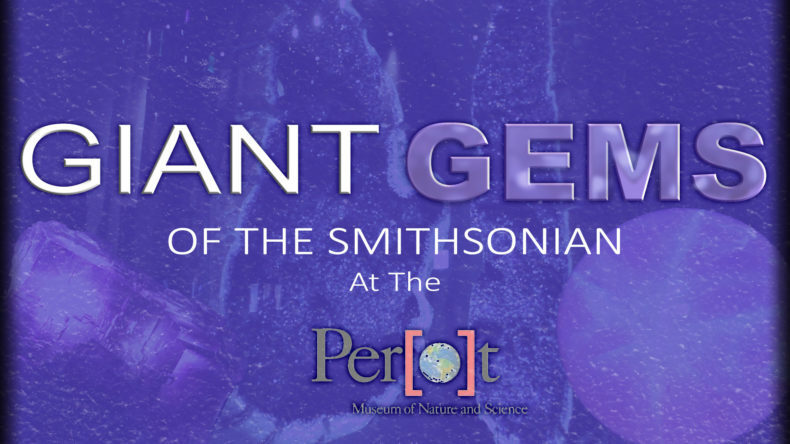 Giant Gems of the Smithsonian is free with Museum general admission and on display Sept. 9, 2016-Jan. 17, 2017. To see pictures of these precious stones click here.